Hello, and welcome to Lunar Mission One's 2017 update. In brief, much of 2017 continued along the path of 2016 activity – see last year’s report. The project has still to secure further funding so at present we are relying on volunteers to ensure the project remains live and ready for the next phase. Their response is very heartening and confirms our confidence in the purpose of LM1. LM1 does have an identified sponsor in prospect to take the project into the next phase, but it is very difficult to predict if and when funds will materialise. We wish to make it clear, particularly to our Kickstarter backers, that the overall project has not stopped. Our main 2014 commitment, as shown by the certificates from the Kickstarter campaign, to deliver Digital Memory Boxes when the overall project is sufficiently developed, remains. We were an unusual Kickstarter project. Firstly, very few Kickstarter projects cover such a small proportion of their main programme. In our case we raised $1m for the first six months of a programme that – as stated at the time – needs about $1Bn to launch the space mission a decade or so later. Very few projects have such a long term programme after the Kickstarter phase. Secondly, LM1 is unique for Kickstarter projects in its ultimate scale and value. We are innovating in several areas of activity, and that carries extra risk, but we really believe it is worth it and that is what motivates us to overcome the difficulties. Without cash since the Kickstarter phase ended, we have only been able to make limited progress. Most significantly, our legal case with the UK’s tax authority, on the application of VAT (the UK’s sales tax) to LM1’s 2014 Kickstarter, remains ongoing given its significance. The case went to court in July and we await the final outcome of this process. Even the legal team working for us is doing so without payment from us. The focus of our volunteer effort, described below, is necessarily on LM1’s top technology challenge and developing the project’s potential for public engagement. As ever, we remain grateful to our Kickstarter backers for their continued support and faith as we seek to secure the next funding, and move the project forward to its next phase. LM1’s most important engineering challenge relates to deep drilling. The technology we intend to use is based on research and prototyping carried out in the US between 10 and 20 years ago. But one crucial area was not sufficiently addressed – how to stabilise and secure the drilled borehole for the depths we anticipate. As a result of research done for us over this last year, especially at the Technical University of Berlin, we can now say how this challenge can be solved. It will need research, design and construction of a means of incrementally creating, in situ during the drilling cycle, a borehole casing by additive manufacturing (3D printing) with a new material based on a reinforced polymer. In conjunction, we expect to employ a technique known as microwave sintering which is being researched by scientists working on the use of lunar material for a future base on the Moon. We have interest in this development in Germany, Italy, the UK and the US, but the next step will need funding to bring in the industrial resources that can take it to fruition. We have 35 Chapters of volunteers who help with LM1’s local promotion. To start with, they mostly help to get new pilot schools, and through them we are part of the European network of educational science projects called Scientix, but they are starting to branch out to promote LM1 on their own. 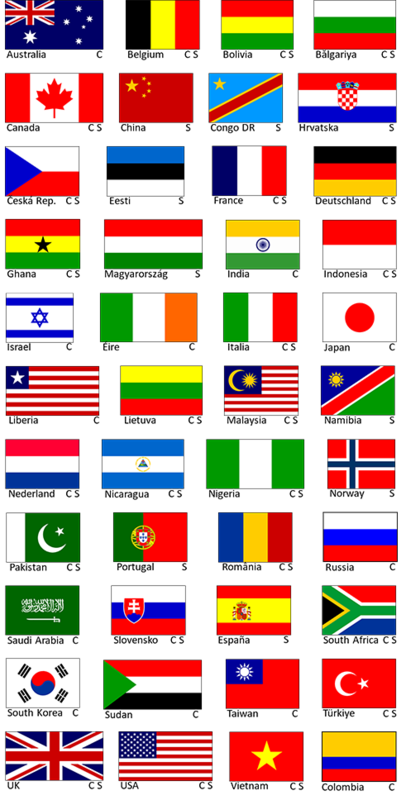 For the full list of countries with Chapters and/or schools, see the flags shown below. Conditional on sponsorship, we plan to update our website. We have a new online collaboration platform ready-to-go to replace the existing Lunar Missions Labs and it will be available initially to pilot schools and Chapters. In the meantime, you can follow our progress on Facebook and Twitter. For the moment, we use social media primarily to develop items of interest for the LM1 community, and we add occasional posts on our specific progress. The items of interest tend to come under the two key headings of (1) life on Earth for LM1’s public archive and (2) life beyond Earth and LM1’s contribution to it. We can see and measure what engages individuals from their responses. They show that, with its unique combination of science and engineering, of culture and history, of the Earth and its Moon, of imagination and reality, LM1 can engage with a very broad mix of people. For information, we have about 10,000 followers on Twitter and about 4,000 on Facebook, though we get more interaction through Facebook. Science and engineering festivals in SW England: Sidmouth, Exeter, Wells & Mendip, plus schools. To assist us, we are discussing with the Council of the British Interplanetary Society (BIS) a proposal for it to collaborate with our public engagement. The BIS has long been supportive of LM1 and hosts the regular meetings of the LM1 Education Committee. The BIS is the world’s oldest space advocacy society and Arthur C Clarke was an early and predominant member. See https://www.bis-space.com/. Around the World, the space interests of government and industry are gradually evolving towards a common understanding of a global space exploration programme that is practical. There is still much to work out before we see committed plans beyond current projects, but the direction of travel is reasonably clear: unmanned first then manned; Moon first then Mars; the Moon to include a permanent surface base (the “Moon Village”, but not a proper colony) and an in-space gateway; the use of local on-site resources for water, air, protection and fuel; and all to be realised with a range of different public/private partnerships, national/international cooperations, and new commercial and funding models. The US government’s decision, with the White House in agreement with Congress, on NASA’s exploration strategy via the Moon should now provide the leadership required to energise the space community towards a coordinated programme of missions that LM1 can directly support. 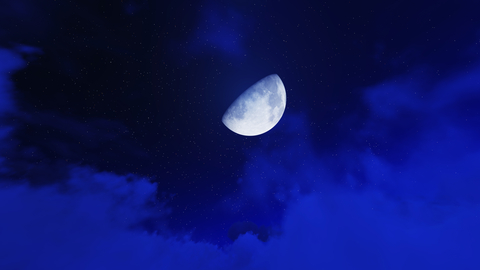 LM1 is ideally placed to benefit from both increased lunar focus and more private enterprise aiming for the final frontier. LM1 scientists remain in the forefront of discussions on lunar exploration hosted by space agencies, especially NASA and ESA. With the renewed emphasis on a Moon base, we are likely to review our science to provide extra value to surface investigations of LM1’s landing site. For example, there is potential for LM1’s lander to carry micro-probes and/or a micro-rover. The public’s curiosity about life beyond Earth, and its interest in the future of life on Earth itself, remain undiminished. Both play to LM1’s strengths and our long term considerations. For the short term, we have our partnership with Astrobotic who will deliver at least our Footsteps on the Moon photos as a kind of initial private archive mission. See https://www.astrobotic.com/. We will post any significant news on our funding as soon as we get it. Hang on in there.